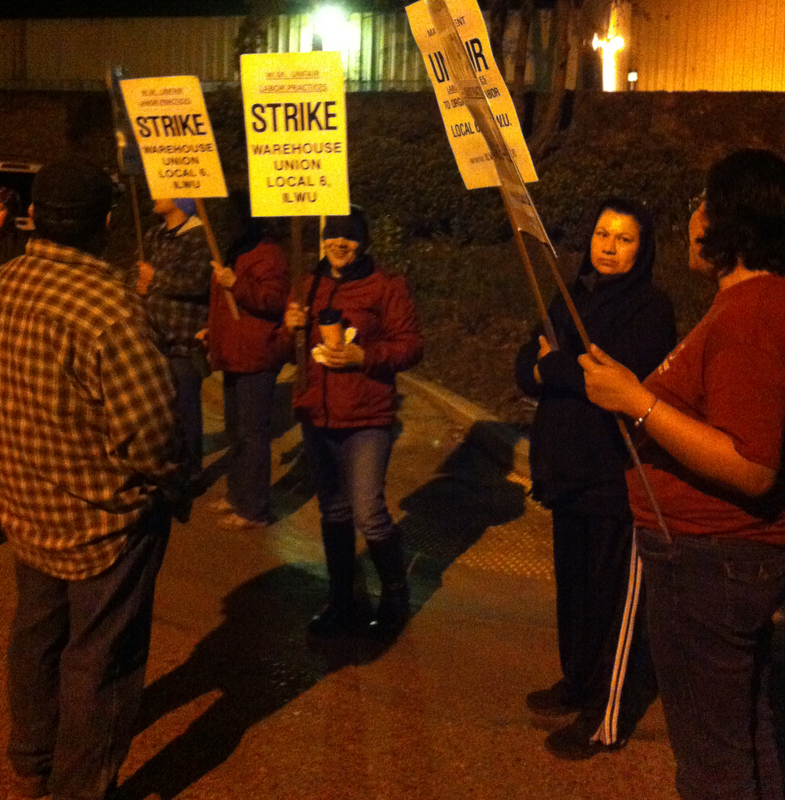 Local 6 members maintain the picket line as Teamster drivers are made aware of the situation. The drivers showed overwhelming solidarity and respected the picket line. 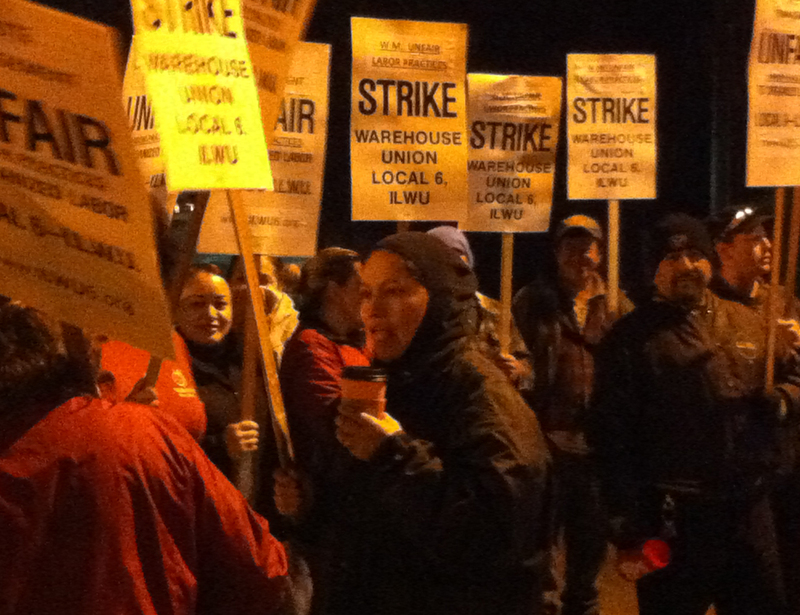 Local 6 members at Waste Management had to resort to strike action against a vicious employer. Waste Management used illegal intimidation and has refused to bargain in good faith. The five hour strike was successful in preventing operations at Waste Management for the day. The picket lines went up at 2:00 a.m., and stayed up until 8:00 a.m. The Teamster drivers respected the picket line and helped Local 6 send a strong message to the company. Waste Management used the E-Verify system as a way to intimidate the workers during negotiations. Three workers were fired due to this illegal action. “If the problems with Waste Management’s abuse continue, then there’s likely to be some variety of consequences to the company, including jobs actions like today’s,” said Merilees.